Islamic State of Iraq and Syria (ISIS) militants fear Kurdish female Peshmerga fighters due to a belief that being killed by a woman will disqualify them from enjoying 72 virgins in paradise, a U.S. politician has claimed. Due to the swelling ranks of “Peshmergettes” in combat roles against ISIS militants, many of the extremist rebels are becoming increasingly afraid, UK-based newspaper The Telegraph reported. “These [ISIS] soldiers apparently believed that if they were killed in battle, they went to paradise as long as they were killed by a man,” Ed Royce, who chairs the U.S. House International Relations Committee told The New York Post. “And these female soldiers were communicating their satisfaction with the fact that they had taken the fight to ISIL and had stopped the advance, turned back the advance - slayed a number of these fighters, who would then run away,” he added. While radical imams and Islamist extremists groups often promise fighters 72 virgins if they die in battle, ISIS fighters seem unsure whether or not being killed by a woman disqualifies them from their virgin-fuelled utopian rest. ISIS led a sweeping offensive in June that overran much of the country’s Sunni Arab heartland, including the northern city of Mosul, close to Kurdish borders. Kurdish Peshmerga forces are preparing to launch a broad offensive against ISIS militants, and are seeking to recapture Mosul, as U.S. and French jets continue striking extremist-held posts. 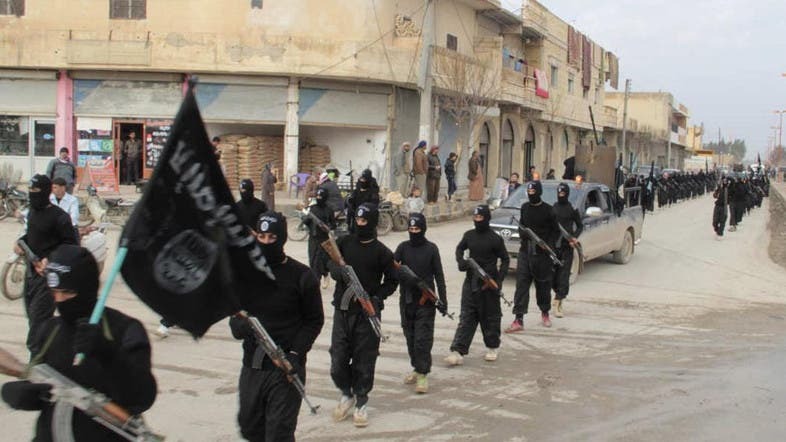 Is ISIS’s global growth unstoppable? Lady Gaga says wary of pro-ISIS rallies in U.S.